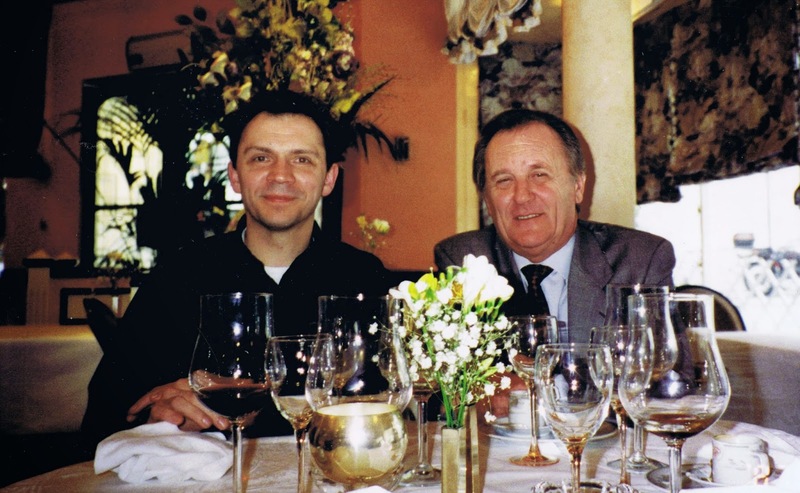 It must have been in spring of 1995 when I met the legendary Uderzo in Paris. I was working at the time at the French Disney Animation Studio on the Mickey short Runaway Brain. My friend Didier Ghez was able to arrange a visit to Uderzo’s office near the Arc de Triomphe. 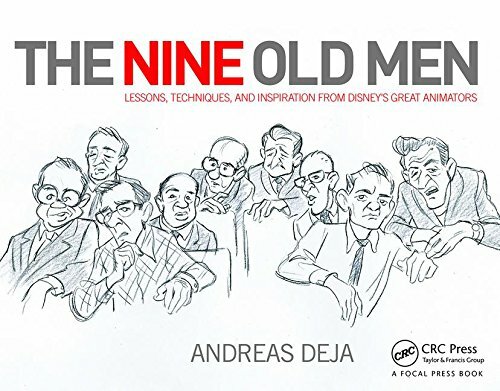 He seemed to be pleased to meet a Disney animator from a new generation, and I was practically besides myself to come face to face with the artist, whose work had enriched my life in profound ways. I remember a few of his rough design drawings framed on a wall of his office. My thoughts were…this is the work of a genius, on par with masters from the Renaissance. I was stunned. We talked for a little while before his daughter and a business associate joined us. (My French was good enough as to not embarrass myself, since I had just spent six months in Paris.) We all walked to a restaurant nearby for lunch, where my French got even better after Uderzo ordered champagne for everybody. He told me how much he enjoyed the movie Aladdin, he especially liked the Genie…”completement fou”! One of his dreams had always been that Disney would animate an Asterix film. I passed the idea on to Roy Disney, but as you all know, the studio has always come up with its own ideas for animated films. There was one significant thing that came out of this lunch, though. 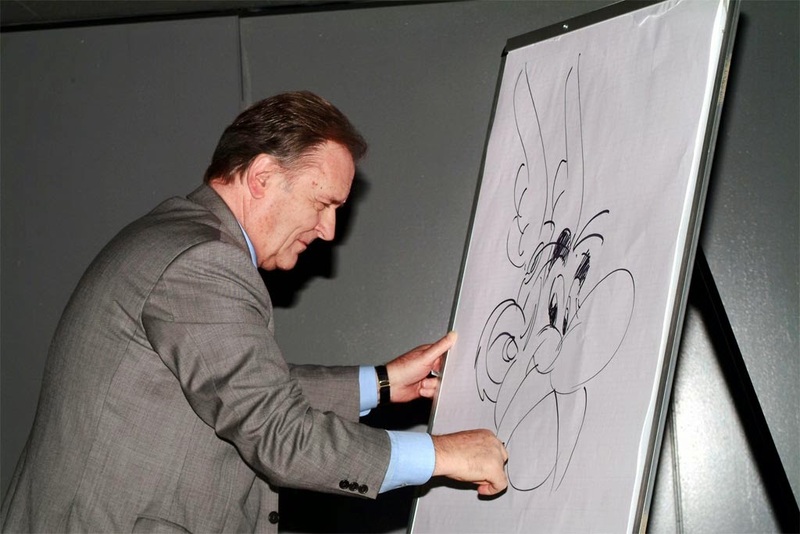 Uderzo had never visited Disneyland Paris (Parc Asterix had been in competition with the American rival), so an official visit was arranged. 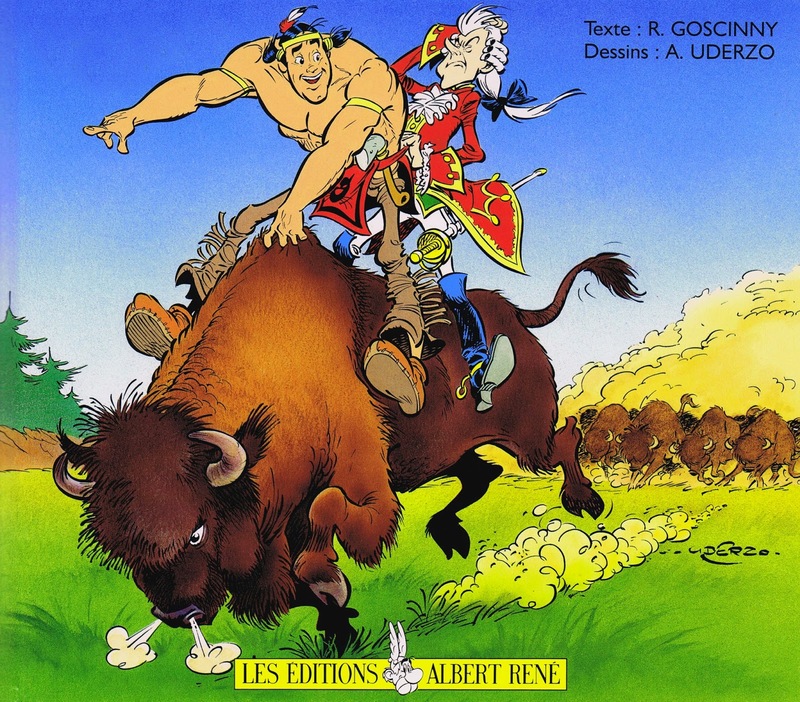 I LOVE Uderzo’s work. 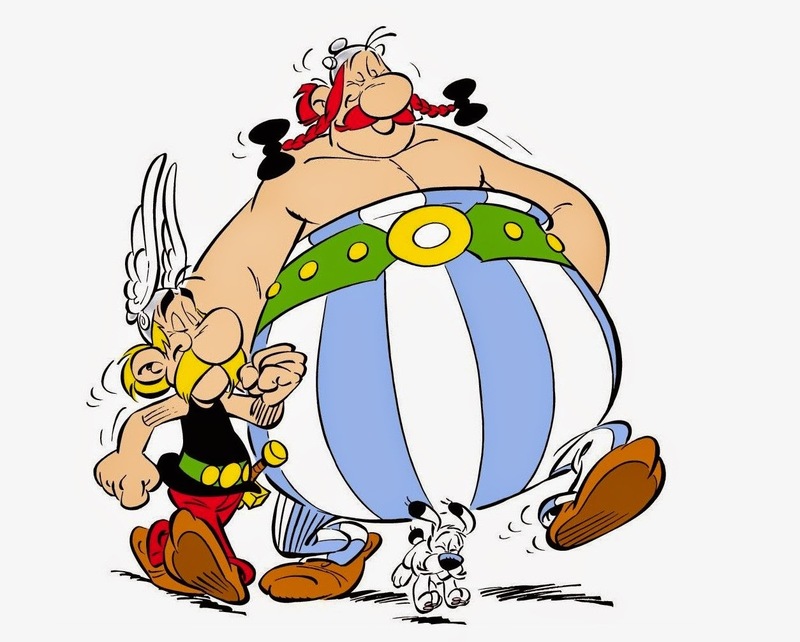 I grew up with Asterix and Obelix comics long before I saw my my first Disney movie. His drawings are masterful, rich with personality. He is a stickler for detail and historical accuracy. This man drew MY childhood! 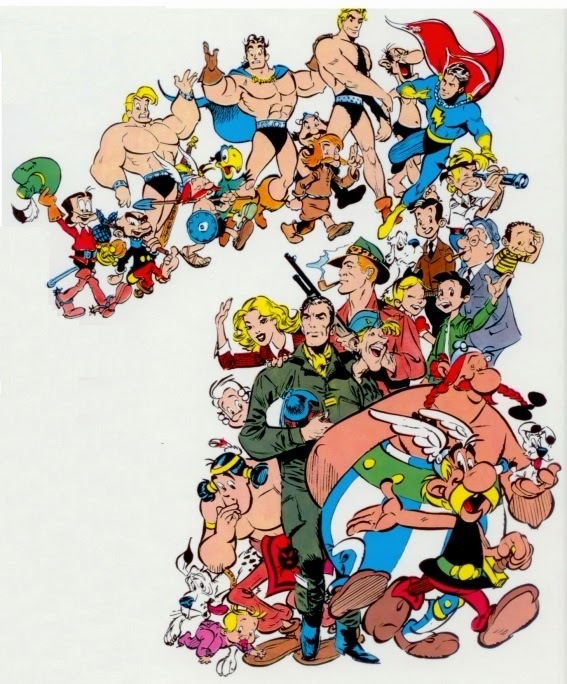 A line-up of Uderzo’s characters from the second half of the last century. 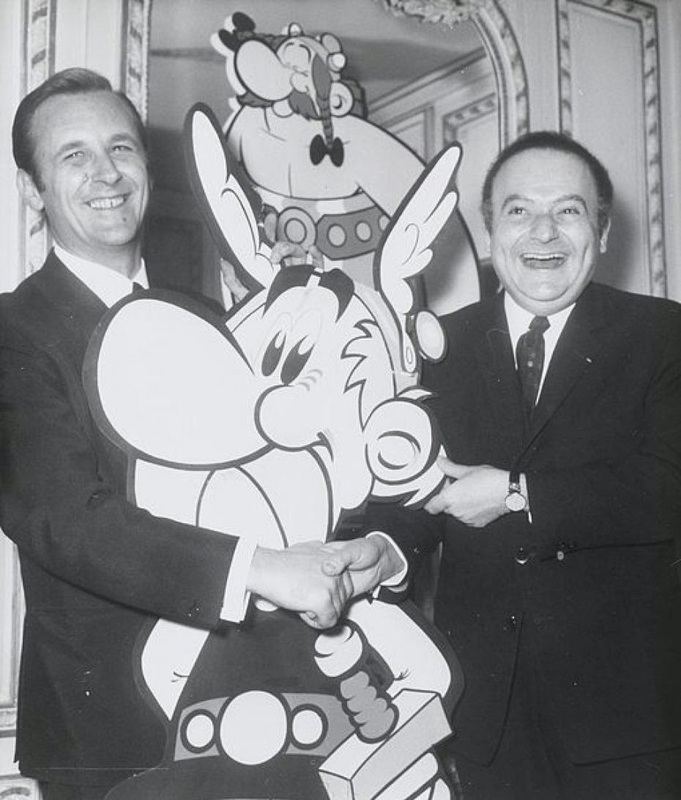 Uderzo and his writing partner Rene Goscinny, who passed away in 1977. Another one of his great strips, Oumpah-Pah. At its core is the friendship of an American Indian and a French officer, called Brussels Sprout, during the eighteenth century. The master during a drawing demonstration.